Anti-Semitic incidents in English-speaking countries spike, improved security leads to worldwide drop. On Sunday, the Kantor Center for the Study of Contemporary European Jewry at Tel Aviv University, in cooperation with the European Jewish Congress, released its Annual Report on Anti-Semitism for 2016 during a press conference held at the university. 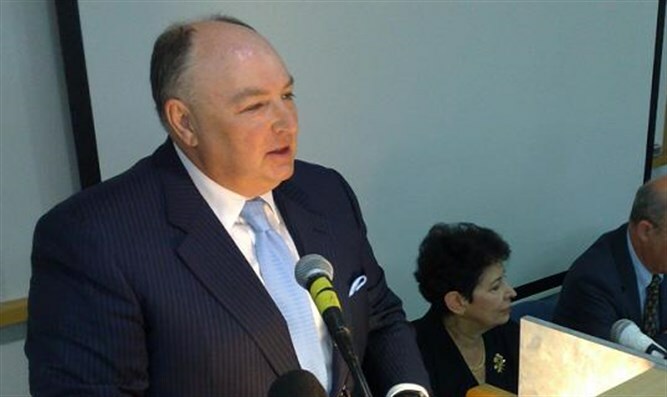 Dr. Moshe Kantor, President of the European Jewish Congress, commented on the findings, saying that while there was a substantial decrease in violent attacks against Jews, the motivation has not dropped, as witnessed by an increase in attacks on less protected arenas like online, university campuses and cemeteries. "While the number of anti-Semitic incidents, especially violent ones, has decreased worldwide in 2016, the enemies of the Jewish people have found new avenues to express their anti-Semitism - with significant increase of hate online and against less protected targets like cemeteries," Dr. Kantor said. "This means that in fact, the motivation has not declined and the sense of security felt by many Jewish communities remains precarious." "The positive results however, are counter-balanced by a sharp increase in antisemitic incidents in English-speaking countries, which have historically been more welcoming for Jews. Most significantly, there was an alarming rise of 45% in antisemitic incidents on United States university campuses, where Jewish students are facing increasing hate and intolerance." In 2016 the number of antisemitic violent incidents dropped by 12%, from 410 in 2015 to 361. The decrease in the number of all types of antisemitic incidents put together, as monitored by communities and governmental agencies, is mostly evident in France, where the Minister of the Interior announced a 61% decrease in all form of anti-Semitism. The UK saw an increase of 11% during 2016. In Australia the rate of increase was 10%. A big part of the decrease was largely attributed to an increase in improved security for Jewish communities, especially in Europe; the focus of the far right on immigration and the fact that more Jews avoid appearing in public spaces with identifying attributes such as kippah (skullcap) and a Star of David. Dr. Kantor also warned that anti-Semitism should no longer be seen as the main purview of the far right. "We are now witnessing that the targeting of Jews is no longer the sole domain of the far right. The far left are now using the same messages, tactics and agenda," Dr. Kantor said. "Indeed, some who describe themselves as liberal and progressive, are in league with the most regressive movements, ideologies and regimes." "Some of these coalitions make anti-Semitism part of their political message. Radicals from all sides remove taboos and anti-Semitism becomes trivial, routine and normal. And when we complain, extremists on the right and left tell Jews that we are 'weaponizing' anti-Semitism. What we have seen, especially on American campuses, is that a Jewish student is more likely to be subjected to an attack by someone who self-defines as progressive, liberal or left-wing than conservative and right-wing."